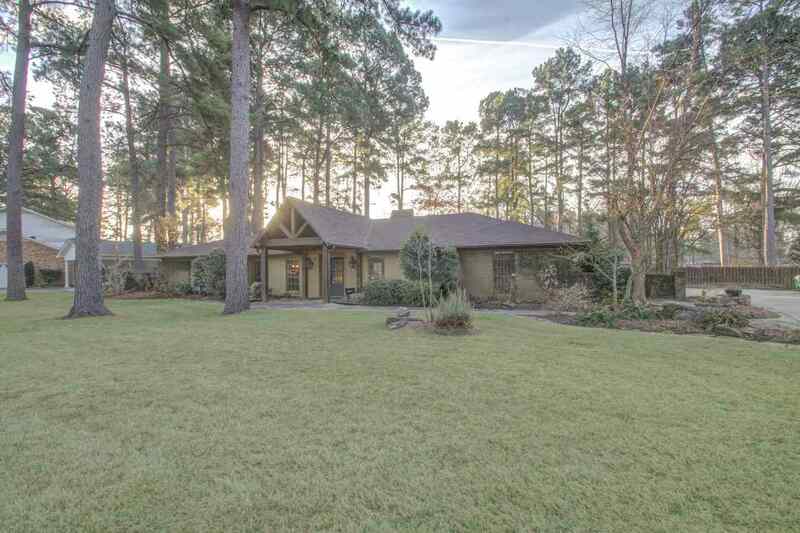 15 Cindywood Dr, Texarkana, TX.| MLS# 100434 | Travistene Turner of Texarkana Realty Group 903-244-1293 | Texarkana Area Real Estate | Contact us to request more information about our Homes for Sale in the Texarkana Area area. Beyond The Ordinary-- Live in style at this 3-bedroom/2-bath 2803-SF home on.69 acres in Northridge. This incredible designer home has a wonderful casual living room with scraped wood floors, surround sound & fireplace for cozy evenings. A wonderful family room with bar and plenty of entertaining space plus a flex area for office or whatever your heart desires! You will be delighted by the incredible chef&apos;s kitchen with Viking appliances. This completely renovated home also has a professionally landscaped lawn with gunite salt-water pool (lights & fountains included!) and outdoor fire pit for relaxed evenings.